He presided over 61,000 abortions--one of which was suffered by his then-girlfriend--and directed the largest abortion clinic in the world. He had helped to legalize abortion in the first place. One day, he had a change of heart. One day, he found God. At the drop of a hat, an abortion doctor renounced his profession--and his atheism--for pro-life advocacy and Christianity. 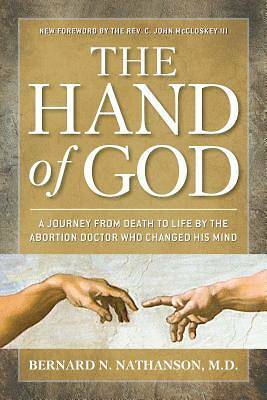 In the most shocking revelations ever expressed in an autobiography, one man unveils his entire life story, detailing countless events--from his gruesome abortion procedures to his conversion and involvement in The Silent Scream. Discover one man's incredible journey from death to life in Bernard Nathanson's The Hand of God.